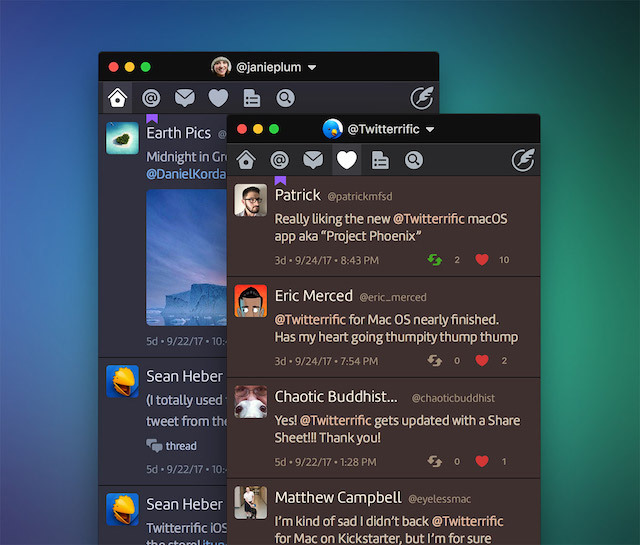 Right after Twitter announced that it will be killing the native macOS client, Twitterrific, which is one of the best Twitter clients on Mac has dropped its price and introduced a ton of new features which makes using Twitter on Mac a joy. The latest update of Twitterrific (v5.2.4) brings support for multiple-accounts, adds quick reply, verified badges, and more, which should easily attract a lot more users once the official Twitter app bids goodbye. In addition the price for the app has also dropped to $7.99. For me, the biggest feature in this update is the support for multiple accounts. 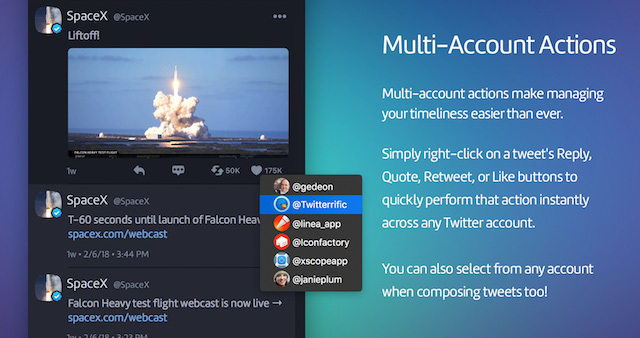 Now, not only you can add multiple accounts to your Twitterrific app you can also open the timelines for both the accounts side by side. Also, you can right-click on any of the tweet functions such as like, reply, quote, and retweet, and choose the account with which you want to perform that action, just as shown in the picture below. If you are already in the middle of composing a reply or quoting a tweet, you can click on your avatar icon to change your account. Other new features include the expansion of user profile to include lists of people followed as well as followers, badges for verified and private accounts, turning off tweet streaming, the addition of a new Georgia serif font, tweaks to the layout of user profiles, fix for URLs being copied incorrectly, and general performance improvements. 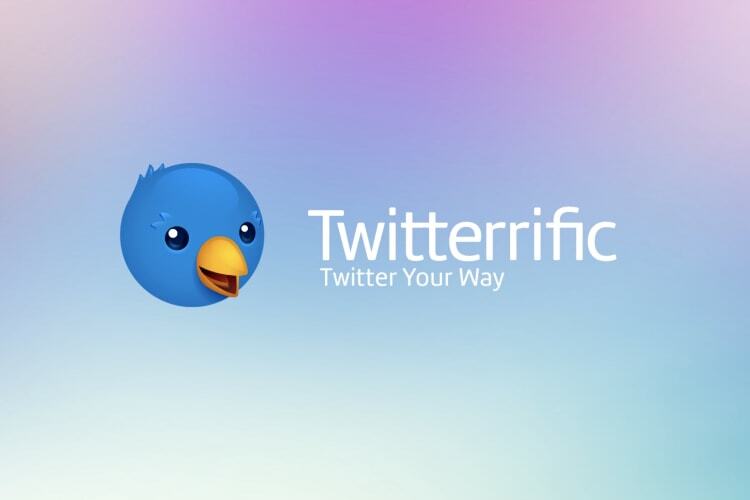 Twitterrific is an exceptional Twitter client and you can get it from the Mac App Store for just $7.99.